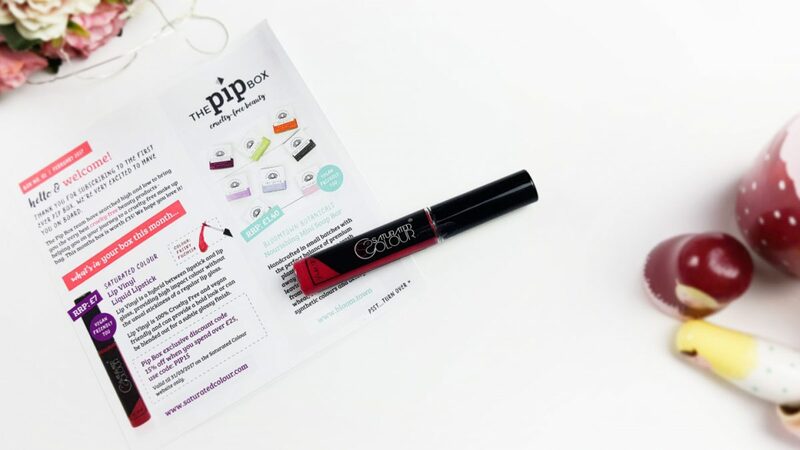 Back at the end of November I posted about a new cruelty free beauty subscription, The Pip Box, that was launching this February. If you missed that post you can read it here. I’m really excited to be able to reveal to you the February Pip Box, which will be the launch box of this wonderful new subscription. 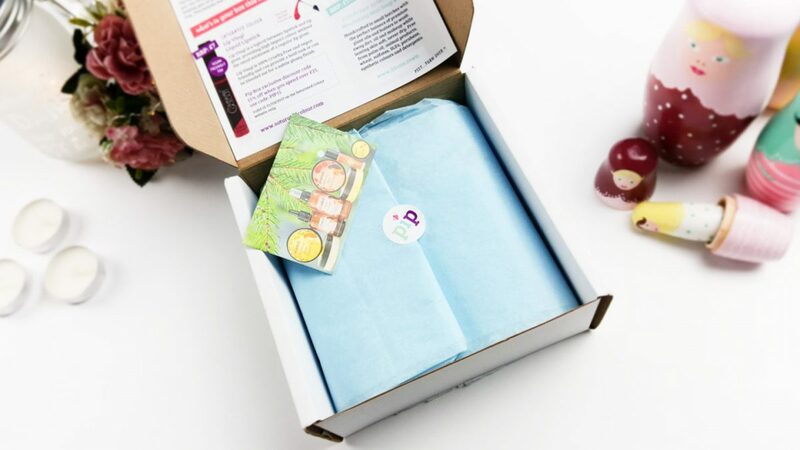 A beauty subscription box that will only ever include cruelty free products in its box each month. 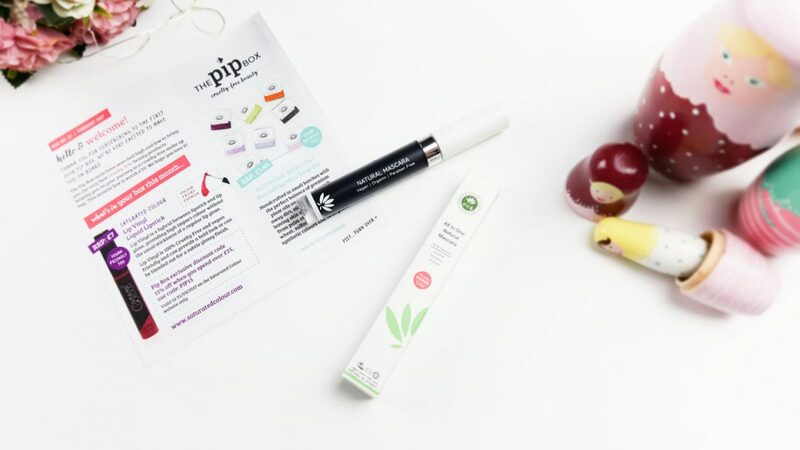 You will also only ever receive full size or travel size products too; so no teeny tiny samples or sachets to be found in The Pip Box either. 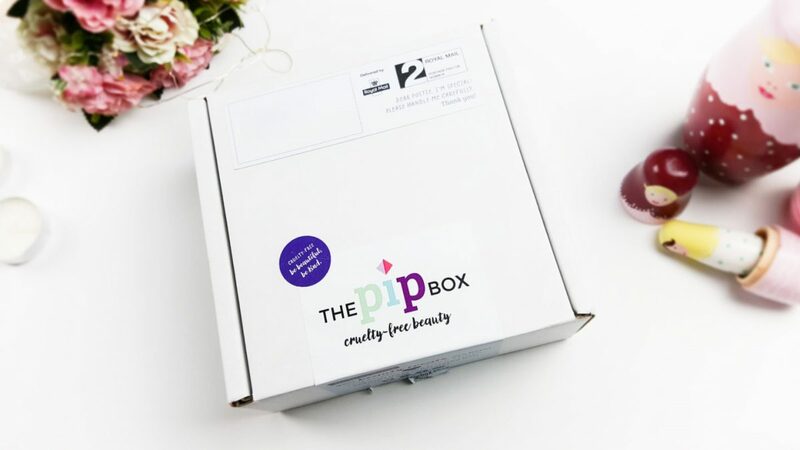 Now, if you don’t want to be spoiled for the contents of the February Pip Box, then don’t read any further because this post does contain spoilers of what is coming up in the first ever box of this brand new cruelty free beauty subscription. The February Pip Box arrived in a very sturdy white box, which ensures that it protects the contents of the box. A very pretty powder blue tissue paper sealed with the Pip Box logo contains all the goodies inside. 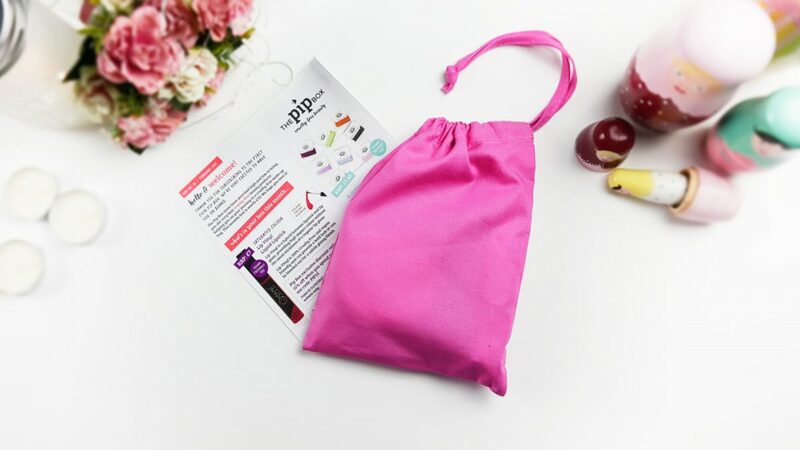 The products also came in this pretty hot pink drawstring bag, which I think is a really lovely addition, rather than just having all the products laying in the box. This may not be always be practical for future boxes, depending on the size of the products each month. It was a fab little touch though! So, I know you’re all dying to know what is actually in the box, aren’t you? Oh, go on then, I’ll show you! Saturated Colour Lip Vinyl Liquid Lipstick – I already own about 6 or 7 lip products from Saturated Colour and their incredible Make Me Matte. I don’t have any of their Vinyl Liquid Lipsticks though, so I was really excited to see this in the February Pip Box. This gorgeous Frisky Fuchsia shade is really lovely. The lip vinyl itself is a hybrid between a lipstick and lip gloss. You get high impact colour but no stickiness like you would with a regular lip gloss. You can either wear it as bold lip or blend it out for a more subtle, gradient look. It’s also Vegan Friendly too. 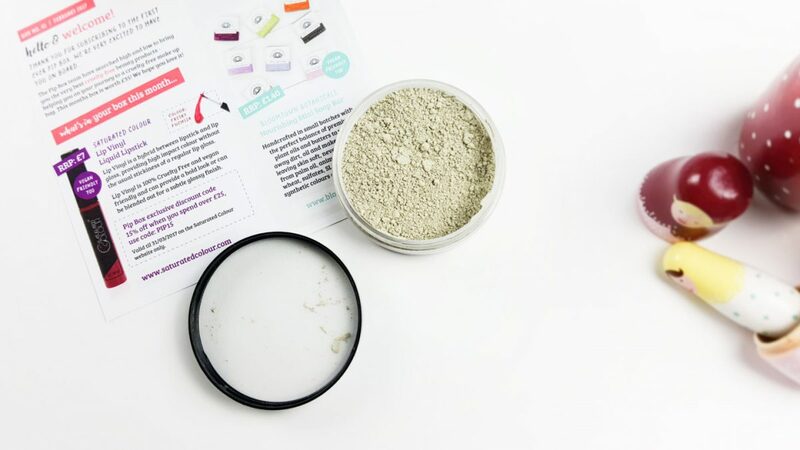 Akamuti Green Clay Face Mask – The last item in the February Pip Box is this green clay mask from Akamuti. Made from sun-dried green clay, which is fantastic for sensitive skins, this clay mask will draw out any impurities in your skin. 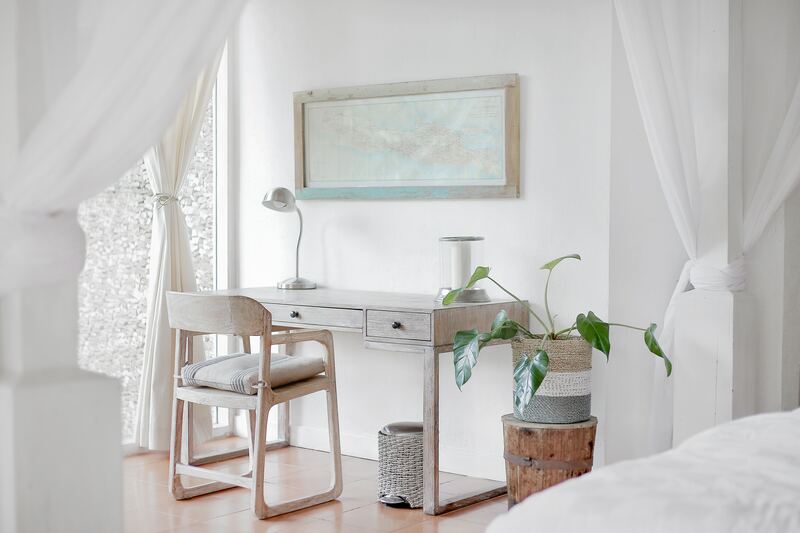 As the clay is sun-dried it means that it retains all its natural minerals because it has not been chemically processed at all. It might leave your face slightly red and feeling warm afterwards but that is just a sign that its actually doing it’s job. It means it is working as it should be and drawing out impurities. Basically this is just your skin de-toxing and the symptoms fade pretty quickly. The first Pip Box is really great. With 3 full-sized make-up items including an award-winning mascara and eye liner, plus a gorgeous vinyl liquid lipstick, it’s a great start to getting a cruelty free selection of make-up to use. The vinyl liquid lipstick is a really versatile colour that should suit all skin tones too. It’s also worth noting that ALL of the products in this box are palm oil free too. On top of that, for every box that is sold, 50p is donated to charity – cruelty free international. How amazing is that?! You can buy your box, enjoy your products AND know you are doing your bit for a really good cause too! 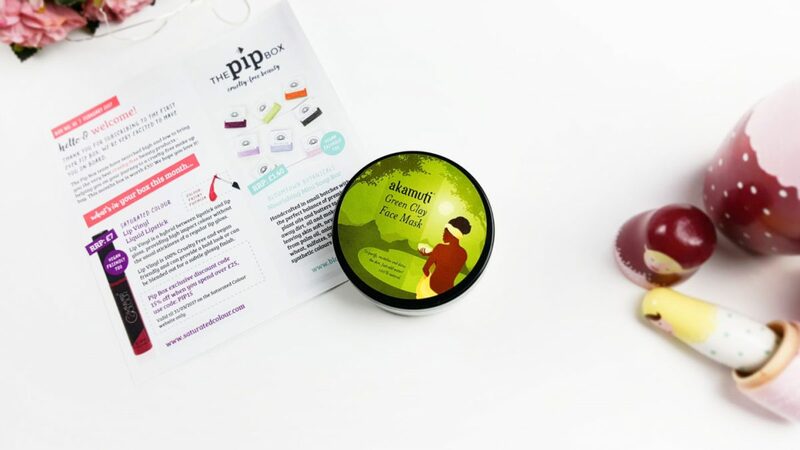 The total of February Pip Box is over £35.00, which is practically double the price you pay for it. That’s fantastic! You will also find exclusive discount codes for some of the products featured in the February Pip Box too. Including one that will give you 40% OFF!! HOW MUCH IS THE PIP BOX? You will be charged on the last day of every month, so right after payday for a lot of people, and your box will be with you by the 26th of the month. You are free to cancel at anytime, should you wish to. WHEN CAN I SUBSCRIBE TO THE PIP BOX? 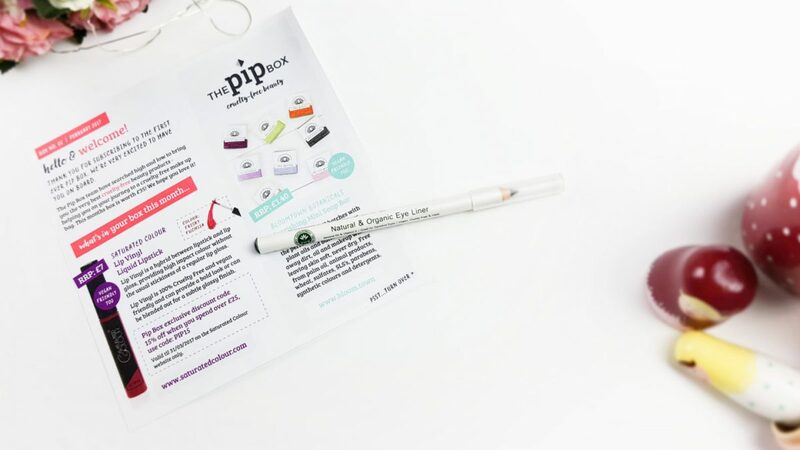 The Pip box will ship out its first launch box on February 20th 2017 and you can subscribe right now! 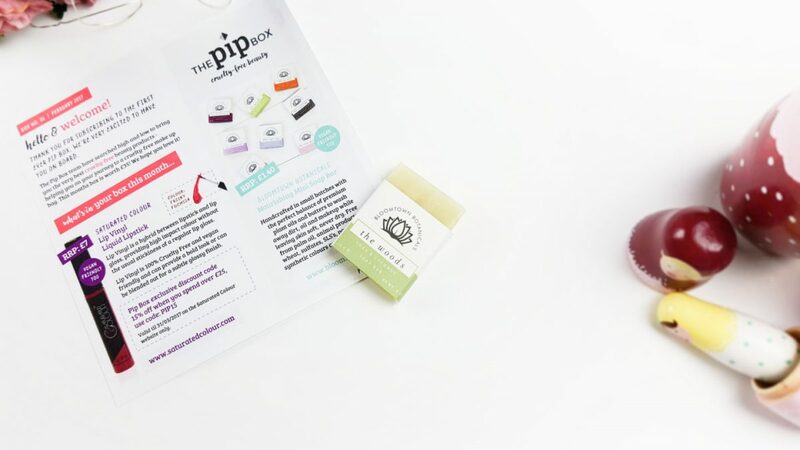 Make sure to also follow The Pip Box on their social media, Twitter, Facebook and Instagram as they will be posting competition, giveaways and offer codes on there.